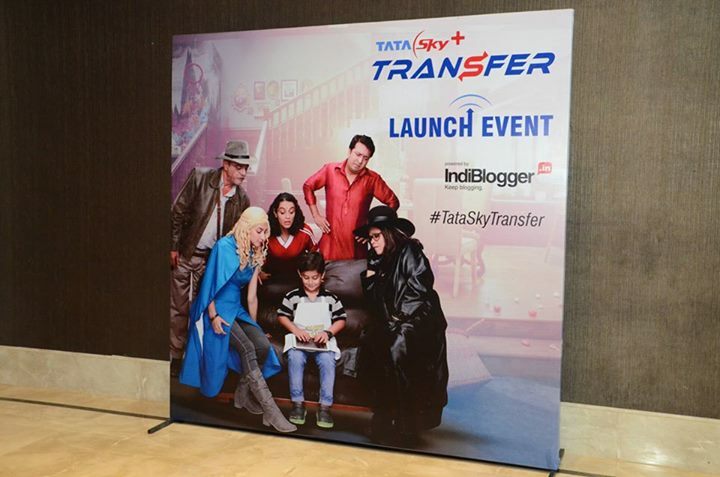 About a week ago, I got the privilege to attend TataSky's Tranfer launch event which was conducted via Indibloggers. So Indiblogger member's or for better sake of understanding - Bloggers in Mumbai got their first chance to see the new DTH set-top box live in action that TataSky was touting about. This by far, has been their best shot in connecting digital entertainment from TV's residing at our homes to the Mobile devices in our pockets. In theory, you can watch your favorite shows on your Smartphones anytime, anywhere. So all this happens with the new set top box - " Tata Sky + Transfer ", Let's dive deeper to find more about it. 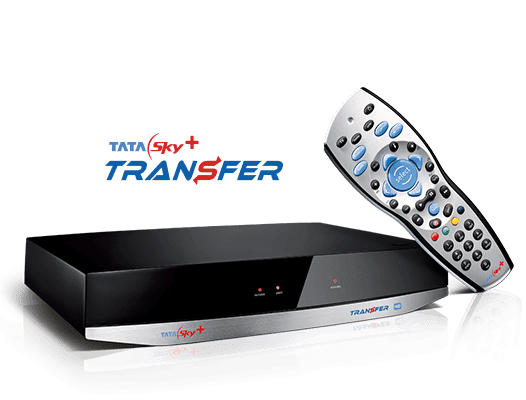 Tata Sky call this a new generation Personal Video Recorder (PVR) box, which is capable of delivering 1080i HD content and Dolby Digital Plus 7.1 surround sound of audio output. Well with the context -"Recorder", recording comes to your favourite shows. Over the course of years, TataSky has evolved from launching many interesting features like Pause/Play, as of now recording alongside transferring that recorded part to your Smartphone/Tablet via Wi-Fi joins the league. So the Transfer STB is capable of producing 1080i HD Video quality at 16:9 Aspect Ratio. So you might be wondering what is that " i " standing for, as it should be 1080p HD right? So 1080i stands for - "Interlaced scan", which produces a video accompanying 60fps picture, while 1080p stands for "Progressive scan" which produces a better image at the cost of lesser frame rates. So does it make any difference? Well nope, not until you use TV's that are more than 42inches in size, as when a slow motion video plays you can immediately point out the difference & would prefer 1080p for smoother frame rates, as images produced by 1080i video are a bit pixelated. It has support for 7.1 surround sound Dolby Digital Plus audio, so expect some deep bass & premium audio output. You can enjoy it's features such as Pause, Rewind Live TV & Record your favourite shows. 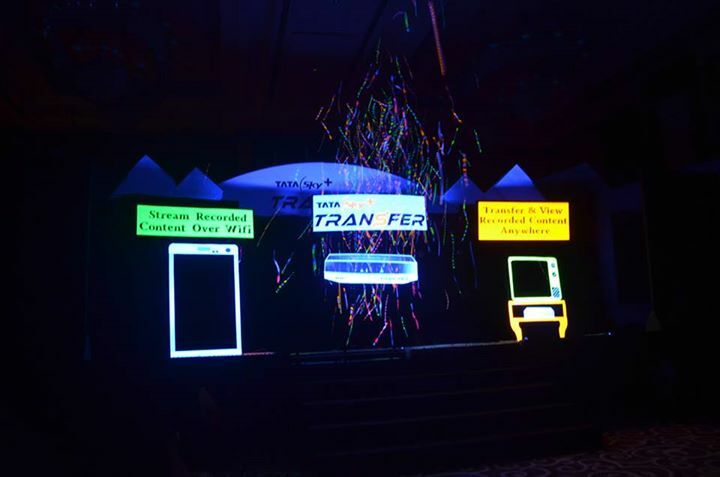 It has a 500 GB of on-board storage which TataSky claims can record upto 625 hours of content at their launch event in Mumbai, Two of the Tata Sky officials spoke that HD content won't be recorded on your Smartphone as it'll take longer to be transferred on your device, but the current quality of the picture won't disappoint you as a User. There are 2 USB(2.0) slots on Transfer STB. One found on the rear, while other on the right side. Ethernet port is also provided, Although I'm not sure whether you can transfer the recorded content directly into your Pendrives, as that would be get TataSky into copyright issues. So it's actually nice to see, that it's not included. Usual set of Composite Audio/Video connection ports including Optical S/PDIF ports/Cables are included. Also there are various services such as Video-on-demand (VoD). You can watch Recorded content on the fly, as long as you've a Android device(Smartphone/tablet) running Android 4.1.2 & above OR an iOS device running iOS 6.0 and above. Do note that minimum of 1 GB of RAM is required on your phone. So how does this Transfer works ? Well once you're through setting up you Transfer STB connection, then simply head over to Play Store/App Store to download the Tata Sky mobile app & register with your Subscriber ID on the device using the app, then assign a name to your device. After that you'll be asked to subscribe to the transfer pack on each device you use separately, which in-turn is free(2 devices for Everywhere TV). After that when snyced, transfer box allows you to transfer the recorded content, but keep in mind that you need to be on the same Wi-fi network as the transfer happens via Wi-fi without actually consuming your internet data bandwidth. You can connect more than one device at a time, but only one show can be kept for recording on each device at a time. How to use the Transfer feature? 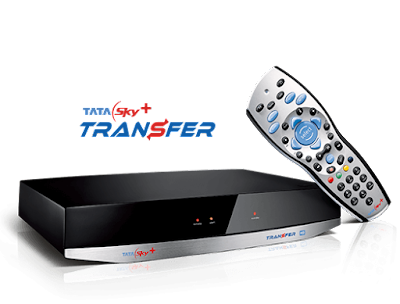 Record your favourite show on the Tatasky+ transfer box. Launch the app on your Phone/tablet, then head over to Transfer labelled under My Box section. Make sure that you're on the same Wi-fi network, within few seconds your recorded shows will pop-up under My Box category. Then hit Transfer, then transferring will take place which would hardly take few minutes. Once you're through with the transferring part, head over to 'My Phone/My Pad' section to consume the recorded content. That's it ! TataSky officials made it clear that the transferred content on your Phone/Tablet would stay for a particular period of time & would disappear after that. You'll have to use the "TataSky App" to watch the transferred content as this file cannot be accessed outside the App/system. Since transferring is a two step process, comprising of recording & converting the video into mobile viewable format, it would take about 30 minutes roughly to record & convert a 30min video on your device. While Transferring would take just about 5 minutes, to transfer that 30 minute recorded video. Speed would normally depend upon the router. Spoiler Alert : The transferred video would be available in 400*224 resolution to watch on your phone/tablet, EVEN IF THE RECORDED CONTENT WAS IN HD. Yes, i know you skipped a heart beat! But Higher the resolution, more time it takes to reach your device. Transferred content can be accessed without internet only for about 48 hours(2 days), so if you're out don't worry even if the content on your phone/tablet vanishes within 2 days, you can always head over to your Set-Top-Box to back that onto your mobile again. It would stay for atleast 24 hrs & maximum for about 72 hrs, if the media is consumed accordingly. Some shows from the channels like Disney, Disney Junior, Disney XD, Hungama, Bindass, BINDASS Play, UTV Action & UTV Movies will not be available for transfer, reason ? Copyright Issues. All in all it's good to see that Tata Sky is taking such a major step in TV broadcasting. Also you cannot simultaneously watch a show & record other, on your Mobile device. As when you're streaming once, the transfer would pause & continue later once you've watched the perspective show. 30 Mins of actual transferred video would be about 245MB in size, while 60 Mins would occupy 490MB of your device's storage. Fun Fact : TataSky officials(at Indiblogger) I know, we all laughed upon the fact that the Tatasky App wasn't available for Windows Phones, which was the response to a question asked by a Indiblogger Attendee. If you know about Build 2015, Microsoft showcased very simple way to port existing Android/iOS apps to Windows phone devices, so take notes! I would love to transfer WWE Raw/Summerslam, Dynamo Magician Impossible, Ballers & Of course : GOT ! That would really satisfy my needs with that Transfer box. Let me tell you TataSky team, Illuminati Dance at Indibloggers meet was hands down awesome. Keep more such stuff coming. Finally the price, dang ! Rs 9,300 for a new connection, while somewhat Rs.7,800(not so sure) for existing TataSky customers. That's saying something, but if it's as good as it seems, I'd be happy giving it a try. Also See : Has Apple really found a way to please critics with their two new accessories ?